https://mastodon.sdf.org/@mikeao https://start.hubzilla.org/profile/mikeao Just a normal 'man in the street', dreaming of a post-facebook world, for me and my friends and family. I have been writing an article to post on Facebook, in the hope my friends might read it. I am not sure it is simple enough for them to understand, and maybe too long . If anyone has an opinion on this, or a link to a better article in non technical language i could point my friends to, i would be glad to hear of it. This is, Part 1 . "the real heartbreak underlying this story is the richness of an alliance between protestors and veterans that has been crippled by this Standing Rock scam and could shut the door on any a future alliance that mobilizes veterans for social justice for years, if not forever." 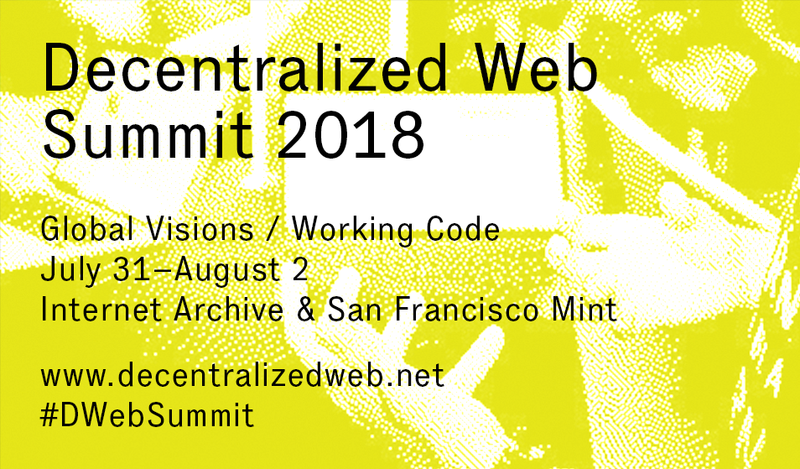 We invite you to join us at the Decentralized Web Summit! I just shared the article by Richard Stallman, of the Free Software Foundation, where he proposes technology be built 'without' the capability to spy on the population at large/all of us. It is a sensible article, and anyone - from any background could read and understand the message i think. I am sure not one of my 150 friends and family on FB will comment on it, i wonder if any of them will actually read it either -- i hope so (one of my more well informed (much more than i am actually) friends liked it so i know 'one' person did read it. When i eventually come to propose a few of my friends try some new (Free as in Freedom) ways of socializing online ( Movim is top of the list now ), i think i will message everyone privately first maybe? I have written a small article i want my friends to read, while the Facebook/Cambridge Analytica thing is still fresh in their minds) - in a way i hope everyone might connect with, i just wish i could get them all to read it :) . I have just found the movim project. And from the very start, i am enjoying using it. As a "normal man i the street", i have been evaluating alternative social networking platforms to facebook (and hope to get some of my friends and family, to try and follow me). I am using: hubzilla, mastodon, and a few others, but these two are my favourites; along with movim now. Yes, its nice yo have such a good IM/chat feature and a nice clean UI. I did like the combination of social software ( hubzilla/mastodon) and chat via a matrix server/riot client. Movim does both very well for me.